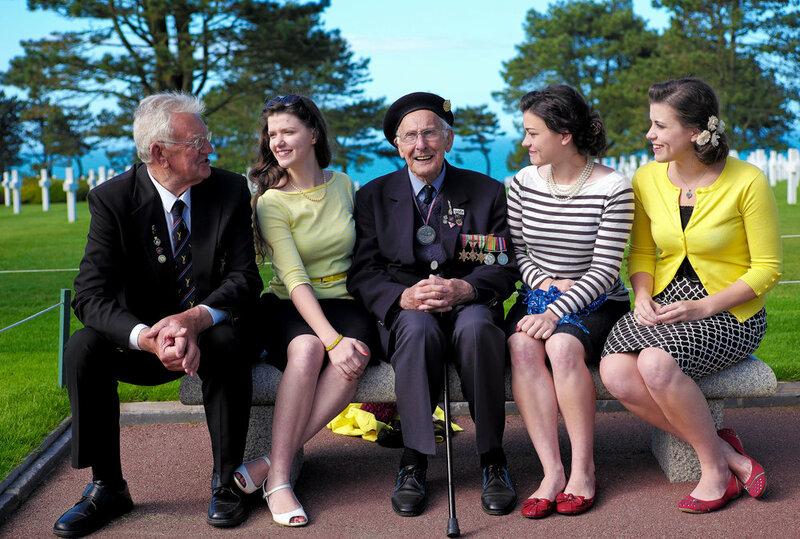 We have found as we have visited with the veterans, that one of the greatest encouragements to them is to sing to them the music of their youth, the songs they grew up with and sang with their friends and sweethearts. Faith has been working on these songs for months and has been singing in nursing homes. 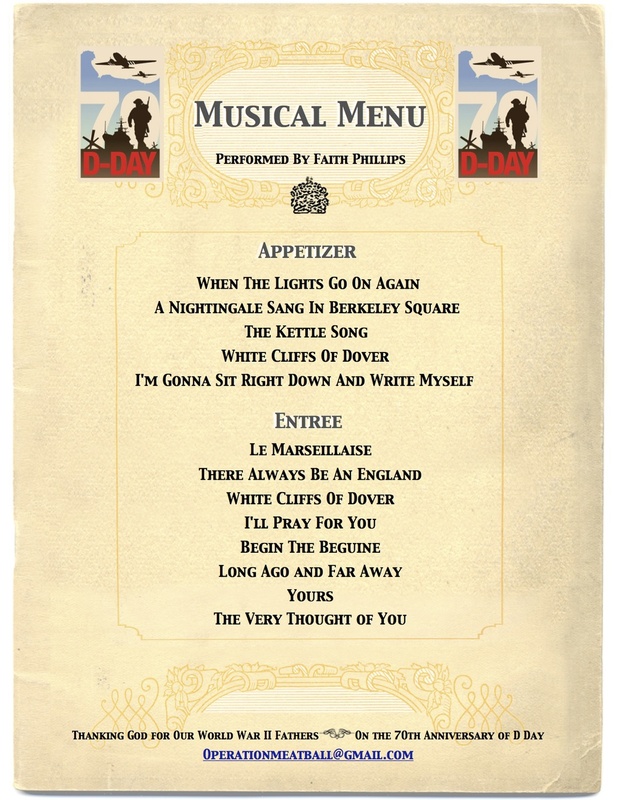 Below is a sample menu we put together of songs that the Normandy veterans can choose from. Also singing with her will be Virginia, Honor, and Joshua. Faith came up with this menu list. 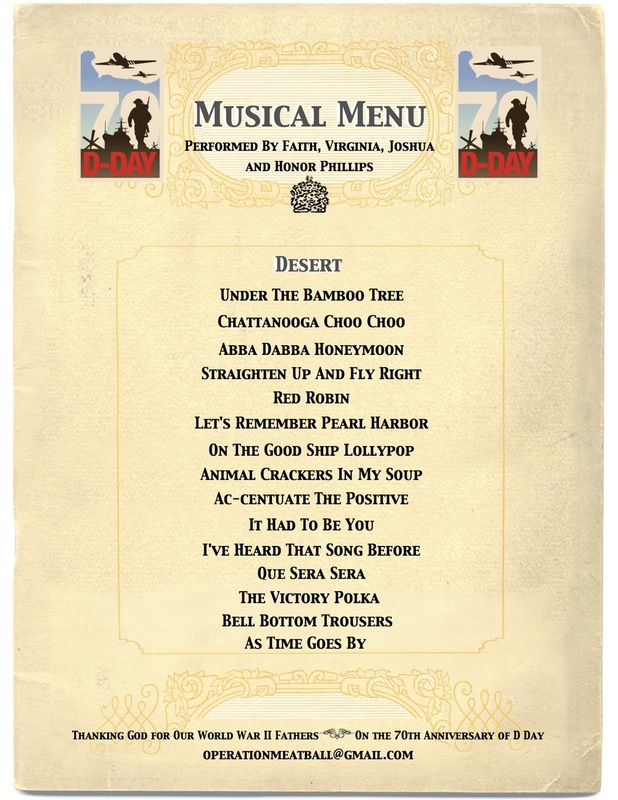 When she meets the veterans she hands them the menu and ask whether they would like a "three course" musical dinner, or perhaps just an appetizer or desert..